Purchasing or selling your home can be one of the biggest decisions you make during your lifetime. When you are moving from one place to another, your focus should be on your ongoing life transition, not on the small details of the transaction itself. At Hoff, Bushaw & Matuszak, we work with you through every step, from drafting or reviewing offers to representing you at your closing. Whether you have a real estate agent or not, it is usually a good idea to have an attorney review or draft your paperwork. 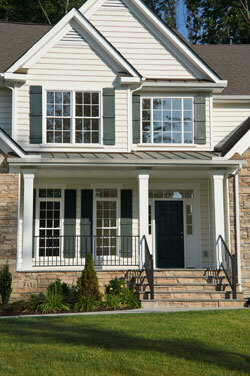 Throughout your transaction, we will pay close attention to your rights and responsibilities as a homebuyer or seller. We understand that your situation is unique and we are more than willing to accommodate you. As your purchase or sale moves forward, we will work closely with a local title company to properly handle the paperwork and ensure that your closing goes smoothly. We can generally provide assistance for a low flat fee, so there will be no surprises at the end. Whether you are a first time homebuyer or have gone through the procedure several times, Attorney Daniel J. Hoff and Attorney Norma Brink are happy to answer your questions. Providing legal services to clients throughout Northeast Wisconsin - Green Bay, Appleton, Oshkosh and all areas in-between.